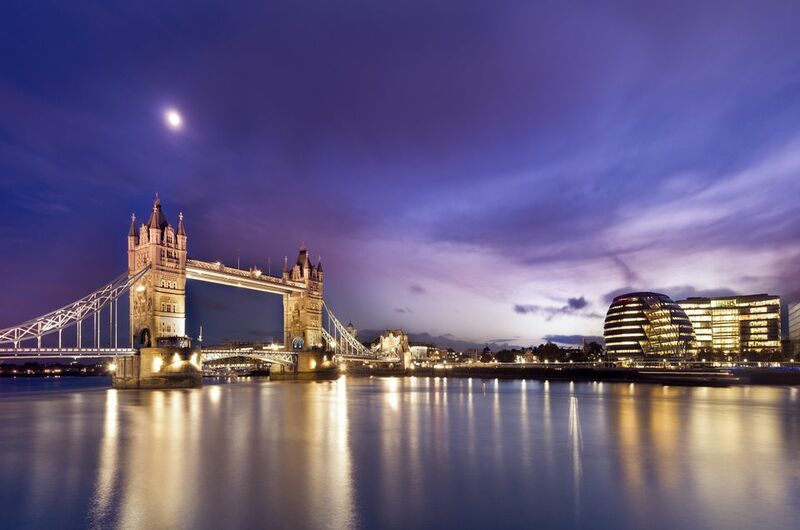 Bateaux London offers plenty of choices for dining cruises along the river Thames including lunch, Sunday lunch jazz, afternoon tea, and dinner cruises. The most popular tend to be the dinner cruises so I tried this on the Symphony, the largest restaurant cruise vessel in London. Symphony was designed by French architect Gerard Ronzatti and has full ceiling-to-floor glass sides so you can really enjoy the views while dining. There is also access to exterior viewing platforms which are worth visiting—but the views inside are just as good, so there's no need to step out and be cold on a London evening. The wooden dance floor in the center is perfect for dancing after your meal while those resting and soaking up the atmosphere can still enjoy the sightseeing. Bateaux London's former sister company was Catamaran Cruisers which operated sightseeing trips on The Thames from 1967. Bateaux London was added to the brand in 1992 to offer dining and private events too. Catamaran Cruisers tourist services ceased to operate in 2007, whilst Bateaux London and their three restaurant vessels—Harmony, Symphony, and Naticia—continue to operate dining cruise experiences on the river Thames. The resident house band plays classic tunes to entertain and set the mood. We smiled as one of the early evening songs was the Pink Panther theme! On the night I was on the Symphony there was a piano player, saxophonist, and a live singer. Dinner cruises are aimed at romantic special occasions so as the main meals were served the singer came out onto the dance floor with the saxophonist. It feels like a wonderfully sophisticated evening and an excellent show. It's an excellent location to find as the Bateaux London Reception is on the Embankment, opposite the Royal Festival Hall. You board the moored Reception vessel first where your tickets are checked and there is a waiting area. You are issued with a ticket noting your table number so when boarding the Symphony you are welcomed and escorted to your allocated table. A member of the waiting staff then introduces themselves and brings your welcome drink to the table. On the Silver Sturgeon things were a bit different as they have an area for mingling with your welcome drink, more like a drinks reception, and there is also a cloakroom. The Symphony doesn't have a cloakroom and the tables and chairs were a bit close so once I had my coat over the back of my chair, and the couple at the next table arrived, we were a bit cramped. As I was there at a quiet time of the year there were a couple of empty tables and staff were kind enough to take our coats and leave them on the unused seats. The menu is on the table, and you need to choose all three courses before the meal. There is a good selection and this really is quality dining, so you can be assured whatever you choose will be delicious. All of the dishes are prepared and cooked freshly on board and the menu varies to use seasonal British produce. The dinner also included a wonderful palate cleanser sorbet before the main meal and tea or coffee at the end. Wine and water are included in the set price for the dinner cruise, and you can order other drinks via waiting staff or from the bar. The dinner cruise is relaxed and takes two and three-quarter hours. We traveled west to Chelsea before turning and seeing the sights of central London again and continued out to Canary Wharf in the east before heading back to the Embankment. For anyone concerned about being on the water, this is a very calm vessel and you have plenty of time to enjoy the sights. London looks magnificent from the water, and it's a memorable way to enjoy the views while indulging in some divine dishes. The lights went down later in the meal and the dance floor became available for loved ones to dance together while the resident house band provided classic love songs. The dinner cruise is perfect for a romantic special occasion and there were many anniversaries being celebrated. This was a much more sophisticated evening than I was expecting and the staff is fantastic: friendly, welcoming, and very professional. You feel like you're dining at a very exclusive restaurant, and the dishes are all visually stunning while also tasting exceptional. The dinner cruise is clearly best for couples but larger parties made up of couples, maybe for a family celebration, would also enjoy it and there are tables for all size groups. What Is The Grosvenor House London Afternoon Tea Like?